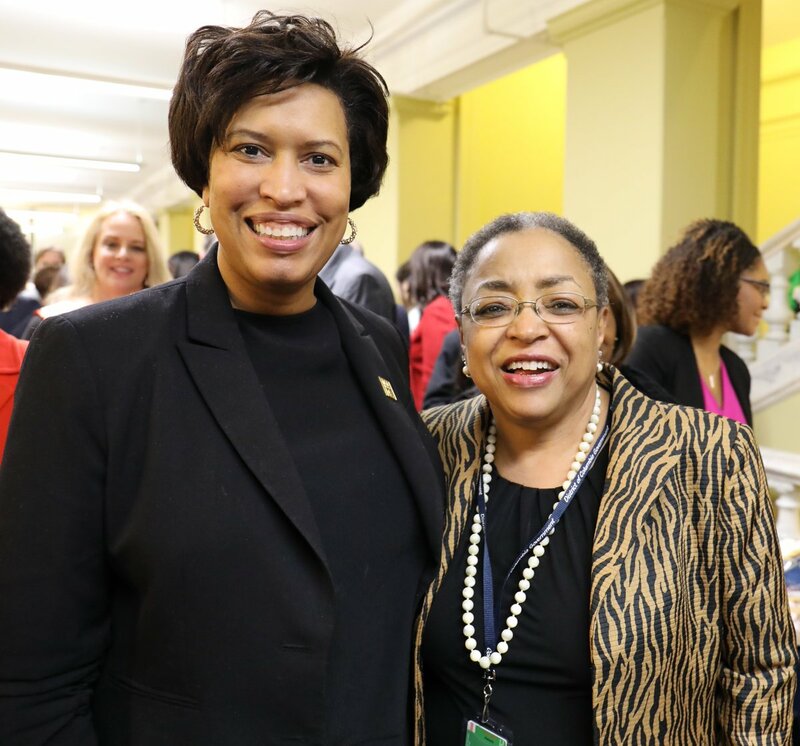 Executive Director Terrie Rouse-Rosario of the Commission on the Arts and Humanities (CAH) photographed with Mayor Muriel Bowser at the 2019 Wilson Building Open House Feb. 4. (Photo: Courtesy DC CAH @TheDCArts). Terrie Rouse-Rosario has been Executive Director of the Commission on the Arts and Humanities (CAH) since mid-December. The agency, which celebrates its fiftieth anniversary this year, provides grants, professional development opportunities and educational enrichment to individuals and non-profit agencies in DC, focusing on building community between artists, public art creation, learning and outreach, administration and agency management. The Commission also provides grants to visual artists through the Art Bank, which purchases fine art with a particular emphasis on local works, and places the pieces in government buildings throughout the city on two-year loan. Rouse-Rosario said her role at CAH is the next step in a life devoted to the arts. She was inspired to join the cultural field by her parents, both creatives, who brought her to the Smithsonian art museum in the 1960s; she says she still has the $1 poster acquired on that trip in her collection. Rouse-Rosario would go on to work with the Studio Museum in Harlem, moving on to amass decades of experience in cultural, historical and arts organizations including the US Capitol Visitor Center and as Executive Vice President/Director of Museums for Union Station Kansas City. She spoke with the Hill Rag in late January about her role, her vision, and plans during the fiftieth year of CAH. You have so much experience supporting and strengthening arts and non-profit organizations. What will be your priorities at CAH? Well, our priorities here are pretty much raising the awareness of our level of professionalism. We have a strong team. We’re grant makers, and we also do programming but as part of state government, we’re able to do that in a very unique way. The Art Bank is a totally unusual feature –to be able to be actively adding to a collection of visual art material that go in each government building, […] Proactiveness is key, letting people know what we do, not only within government, but externally. People come to Washington DC to go to the Smithsonians! 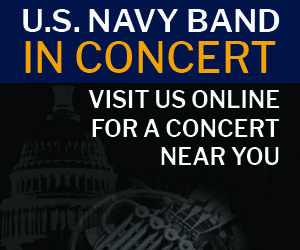 They should be coming to Washington, DC to go to Washington, DC. Hopefully we can figure out more ways to have people see our public art, our mural program. How can we be more active and also attract more people? We have to be able to tap into that. Talk about the role of CAH in the DC Arts and Culture scene moving forward. In fifty years, the role of local arts agencies has changed all over the country. We started off doing mostly public art, but going forward want to develop the business of arts for professionals. That’s something we need to be doing more of: trying to give people skills, reinforcing skills, [and] widening their eyes to the professional aspects of being in the arts. And the arts now could mean almost everything, from the electronic world to aspects of the visual world, to the physical world of sculpture and performance. But art is a big business; it’s a profession. DC used to have neighborhoods where artists could afford studio space. With the rise of real estate values those have largely disappeared. What could CAH do to support the creation of such spaces for working artists? Well, what we can help with government. We know an initiative for the city is to have affordable housing. We can be a voice for the other areas that are dealing with this issue of affordable housing, not only people in the arts […] but for people working in other areas where income may be a variable all the time. We can also be in a position to inform what that means for a working artist to have space. It’s not just studio space; they need working space. And can that working space be collaborative? Can it also be an incubator space at that point? 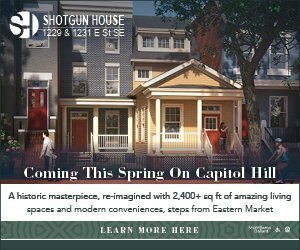 What role do you see for CAH in encouraging and supporting an interest in arts for DC’s children? 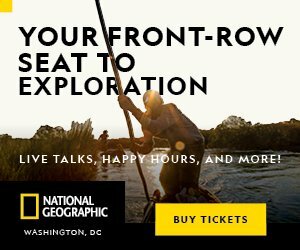 CAH has been doing this field trip program for… about three years and a million dollars is allocated, if you will, towards what we will call field trips: the opportunity to go and participate in performing arts or visit a museum and be issued a little bit of help in getting them there. So, we’ve created an opportunity for access, because sometimes access isn’t in the [school] budget any more. We do Creative Sparks, which is a program that supports in-school workshops which is always –well, you and I both remember those great moments that someone came to the classroom and introduced you to something. Are there ways that you see, on this, the anniversary of the commission, for the public to get really engaged with your work? We do have the Mayor’s Arts Awards [the annual ceremony recognizing artists and organizations, now in its 34th year]. You know, we’re always needing panelists. People who are a), willing to read grant proposals and b) come and evaluate what the subject is. And you’re not evaluating [in a void]; there are criteria and there is discussion with your panelists and of course there is informed comment from the grant manager or the staff person. But become a panelist. That would be very cool. What would you like people to know about you that I haven’t asked you? To say that I am passionate about the arts and that world would be an understatement. I will advocate for the arts. I have no problem saying that we need to be the best that we can be and we need to support the best that we can be, be it small, large or in-between. Because we need people to respect our profession. Because I’m still dumbstruck that people don’t understand that there is something called an arts profession. That’s my passion point.